If you want to do some simple editing to your videos and you don't have access to your a PC, then your smartphone can really come in handy on such occasion. Although your phone will never give you the same level of options as your PC will but it sure will get the job done especially if it's just a simple video editing. 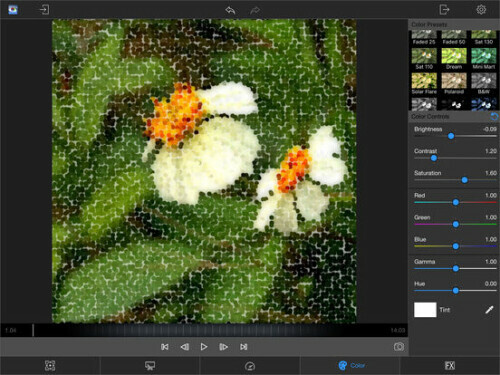 Although there are multiple video editing apps for ios but in this post I will just list out top five video editing apps with more comprehensive control over editing and splicing together footage and music. 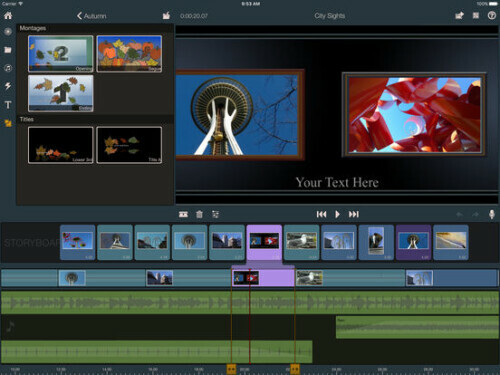 Pinnacle Studio Pro is a very simple editing app which let's you edit your videos, audios and even photos. With this app, you can add your short video clips in the Storyboard, make precision edits using the Timeline and Dual View Precision. You can also add high-quality transitions, effects, and a soundtrack. Videos created with this app can be directly shared on social platforms like Facebook, YouTube etc. You can also download media directly from i cloud photos directly from the app library. 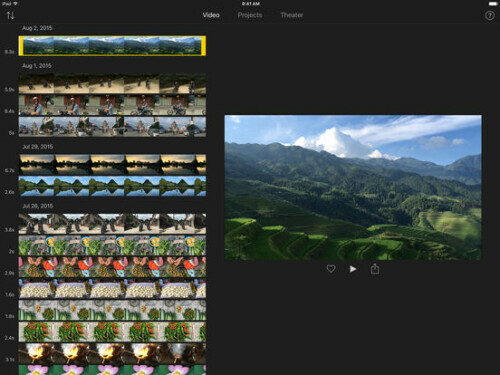 imovie is an essential video editing app by Apple which features intuitive Multi-Touch gestures with ability to browse through your video library, share favorite moments, create beautiful movies and also let's you watch all edited videos on your device. It has 14 trailer templates and 8 themes with matching titles, transitions and music to choose from. 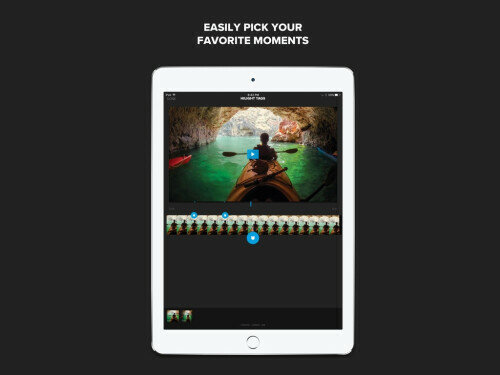 It also uses 10 Apple-designed video filters, enhance your movie with slow-motion, fast-forward, picture-in-picture and split-screen effects, add a soundtrack, and share your creations. This app let's you upload pictures and videos from your phone library which are automatically converted into moving pictures. 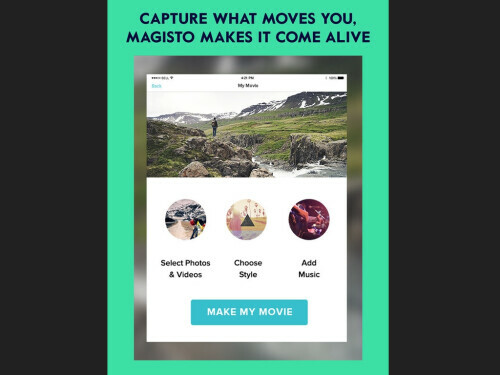 You can also use the magisto app as a smart camera to capture stuffs, add audio files from either your device or from the magisto music library. You can also apply effects such as automatic video stabilization, facial recognition, video filters, video effects, and smooth transitions. With this app you can create a professional looking video on your ios device. It let's you trim your video clips, add slow motion effect, sync video to music, apply filters, adjust background colors, add title slides, text overlays and a custom outro, adjust playback speed for fast or slow motion, and choose from a huge variety of free music and sound effects. If you want to customize FX and color correction on your video then LumaFX is the best app to let you do that. With this app you can add multiple colors, styles, blurs, pixel effects, and distortions to create a variety of effects. You can also adjust individual parameters on each effect and color correction, or use keyframing to animate each effect. The app supports 120 and 240fps slo-mo video files and time lapse video files as well. You can easily crop, position and rotate video, change aspect ratio, adjust audio levels, and download media stored in iCloud Photo Library directly to the app.